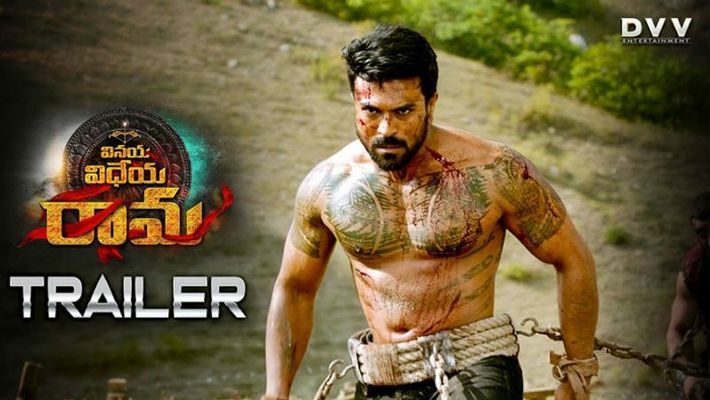 Will Ram Charan's Vinaya Vedha Ram beat KGF in south India? Filmmaker Ram Gopal Varma has praised Ram Charan's Vinaya Vedha Rama and said that if KGF is gold then Vinaya Vedha Rama is gold mixed with diamonds. If Yash's KGF is gold, Ram Charan's Vinaya Vedha Ram is gold mixed with diamonds, said filmmaker Ram Gopal Varma. The trailer of Ram Charan Teja's Vinaya Vidheya Rama has released and garnered praise from who's who of Tollywood and even Kollywood. Boyapati Srinivas, also known popularly as Boyapati Sreenu, directed Vinaya Vedhan Rama and the film is all set to release on January 19. Ram Gopal Varma has gone bonkers over the trailer of the movie. "They should release this in Hindi too because it is looking like gold (KGF) mixed with diamonds ..I so wish that this was Ram Charan’s first film in Hindi instead of #Zanzeer ..He is looking simply mindblowing," he tweeted. KGF was released in five languages - Kannada, Hindi, Malayalam, Tamil and Telugu. Wishing the KGF team, RGV had said, "Starting from Bahubali onwards to 2.0 and now the super success of Kannada film #KGF in Hindi proves that regional barriers are broken and a good film can be made anywhere but it will run everywhere, Congrats to TEAM KGF." Ram Charan is on a high after his last movie Rangasthalam became a massive hit. The appreciation for Vinaya Vidheya Rama makes it look like another hit like KGF is awaiting the south film industry.